Griffin grew up in Michigan watching thunderstorms and shoveling driveways, found a Geology degree, and found that it wasn't all peaches and cream. Then he moved to Seattle and started a brewery with his brothers! When not scheming new beers for Flying Lion, Griffin spends time in the woodshop, cycling, or napping on the roof. Adam grew up in the woods in Illinois, spending his time fishing, camping, and working in corn fields. 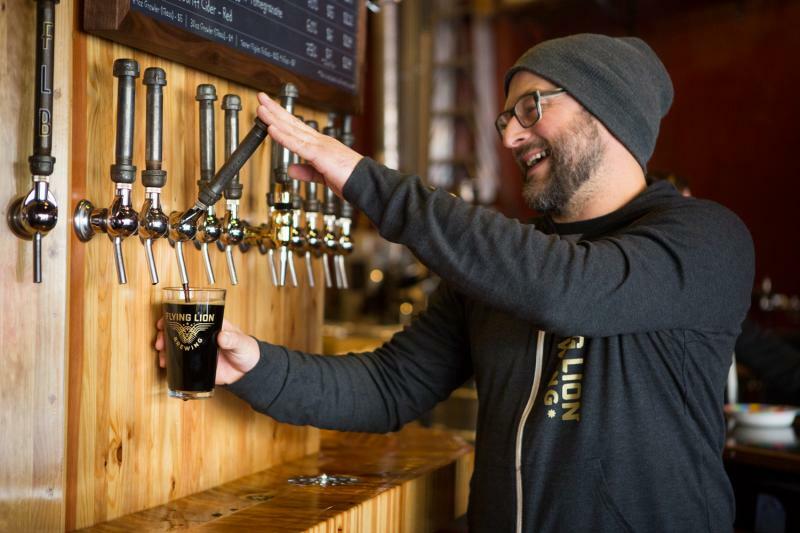 He managed a degree in Brewing Technology and after a few years of brewing around western Washington he moved to a rural part of Ireland to build a brewery on a farm. Adam moved home for a variety of reasons, but it was mostly for the Same Again IPA and the Cubs. Nicole grew up in the Seattle area but is originally from Costa Rica. Previously a cocktail fan, she got in to beer when she met her husband and found out that she loves pilsners, sours, and farmhouse styles. A chance visit to the taproom while house hunting in the area eventually led to an awesome job! Nicole tends to have pink or purple hair. 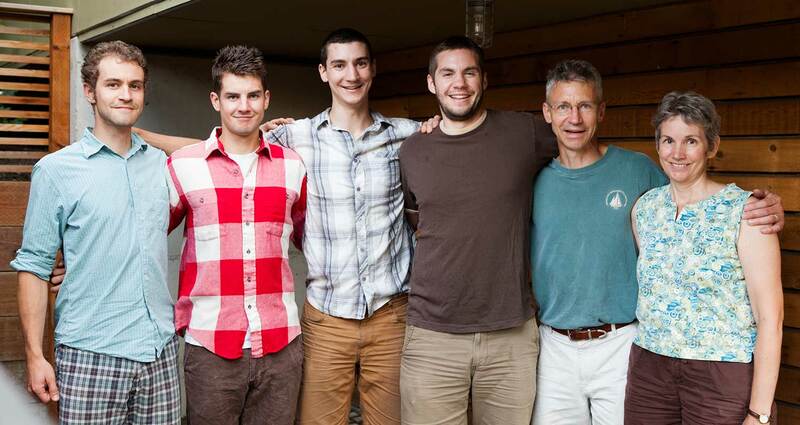 Tyler grew up in Michigan and mostly just did math for his first 34 years on Earth. After a PhD in Economics and 5 years coding at a certain large Seattle tech company, Tyler is pretty excited to get some calluses back while helping Griffin full time with our brewing dream. 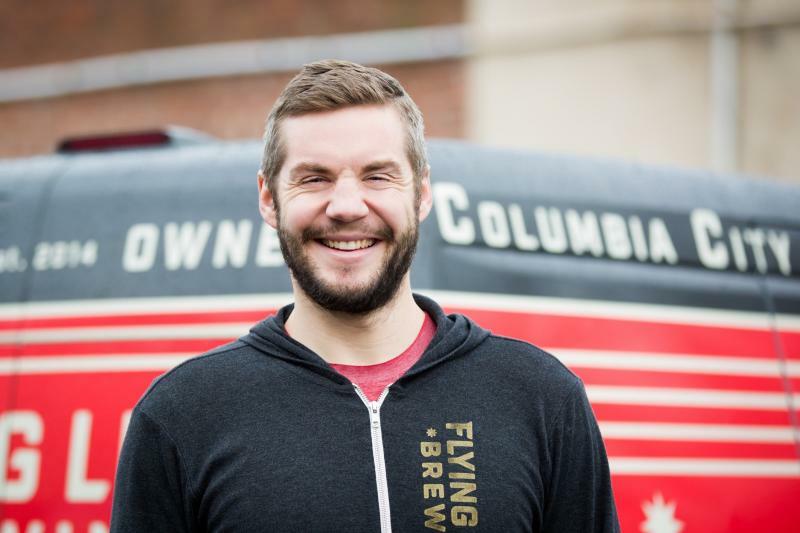 He and his wife Julie keep busy with their three brewers-in-training - Augie, Jasper, and Silas - who can often be found drawing race cars on the chalkboard table at Flying Lion. Sara grew up in Minnesota camping with her family, swimming in lakes, and learning her grandmother’s Hungarian recipes. At fourteen she starting slinging coffee and toast to the local regulars and has been devoted to hospitality ever since. 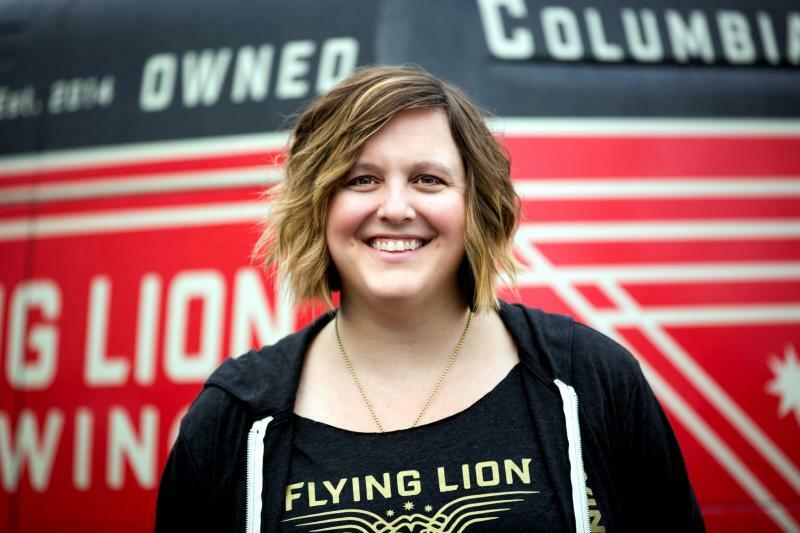 After years of working in Seattle restaurants, she is excited to expand her skills and share her love of beer at Flying Lion. She often obsesses over campfire cooking, recycling and antiques. Andy grew up in Washington slinging hay bales and falling into ditches outside of Bellingham. 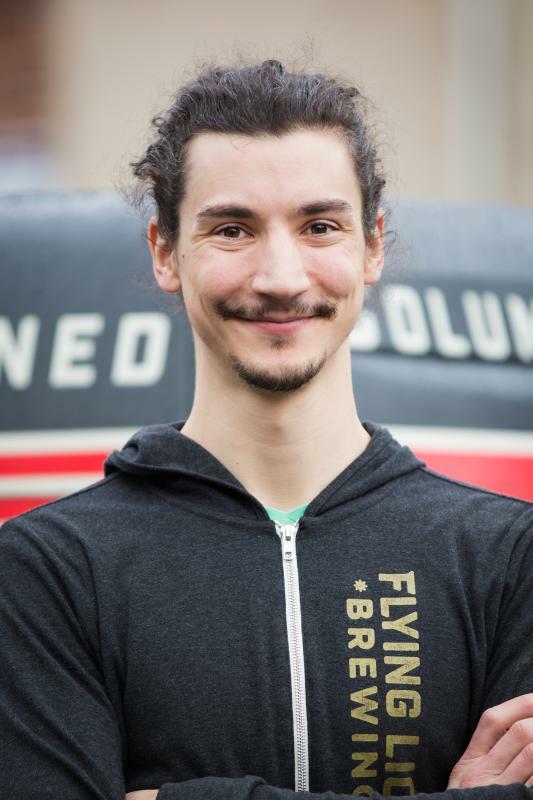 After living several years in Alaska, he has returned to Washington and is excited to be selling & slinging kegs for his favorite brewery. Andy is pretty handy and is often found working on his 66' Chevy, building the perfect campfire or creating clever electronics.